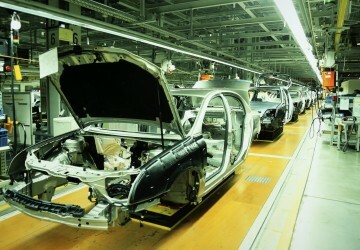 Automotive industry hold a prominent position of Japanese basic industry and is known as an integrated industry that has a broad range of affiliated businesses. A lot of special steel are used for a wide range of automobile components such as engine, power train, control system, and electrical system, and exhaust system, and bearing, and industrial fastener, and shim. Stainless steel strip equipped with the acid resistance and corrosion resistance. Cold-rolled steel strip which has beautiful polished surface and excellent dimensional accuracy. Since Polished special steel plate is commonly use for gauge, it is known as gauge steel plate. Bainite steel strip is capable of manufacturing the parts and spring by punching and molding. Steel strip that has been subjected to thermal processing. Magnesium is the lightest metal in practical metal. The specific rigidity and specific strength are superior to iron and aluminum. Titanium specific gravity is an intermediate of iron and aluminum and is a light metal. In addition to our lineups, high quality pipe with a high degree of accuracy is available by the built-to-order (B.T.O. ).